Stephen Sondheim's award-winning musical about a wronged man and his revenge on those who caused harm to his family. 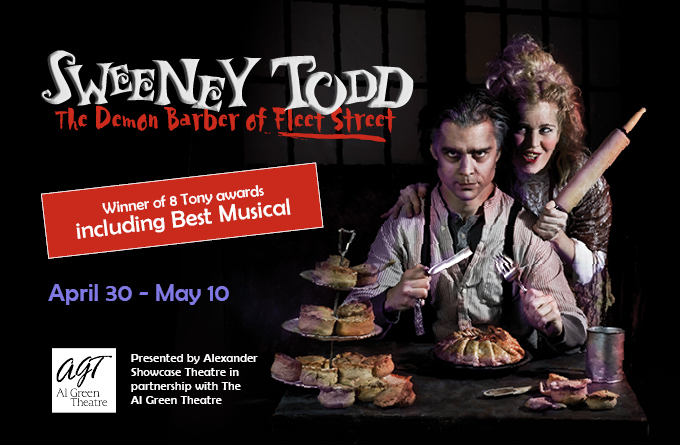 This dark comedy with its superb score and comes complete with a love story, a corrupt judge and the unmistakeable Mrs. Lovett, who is responsible for the worst pies in London. We cannot mail tickets after April 28. If you order tickets after that date, you must print at home or pick them up from the Box Office on performance night.